Backlighting — Xymox Technologies, Inc.
Backlighting can be an important design consideration to provide a more intuitive user experience for your end users. Xymox offers two different options, Distributed LED Backlighting and Single Point LED Backlighting. 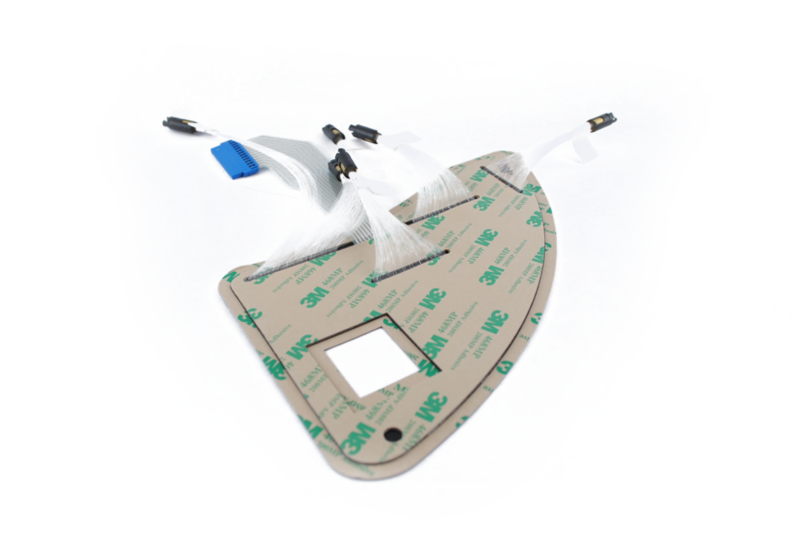 As membrane switch users began to search for a better user experience, backlighting was seen as an area that could be enhanced. Newer constructions are using side fire LEDs to light entire keycap text and various icons on a panel to make the lighting more intuitive. Xymox membrane switches can be built with surface mount LEDs embedded into the switch package to provide a cost effective way for backlighting. This construction would use top fire, single point LEDs which would typically light a small window next to a key or in the corner of a key.